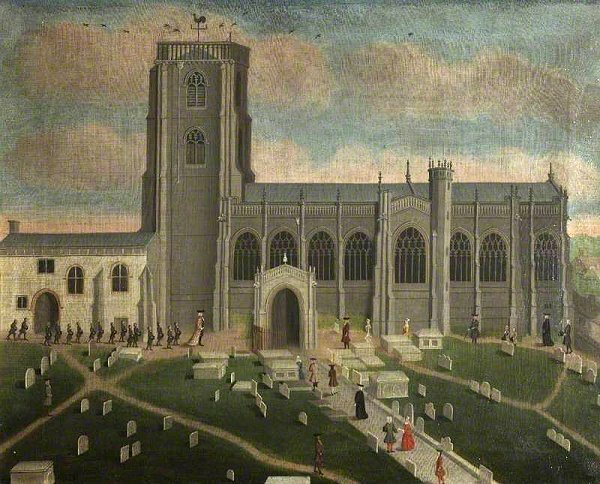 The Chantry, probably early 14th century and most likely associated with an earlier church, was known as the Chantry Chapel of St Mary the Virgin without the Church and was next to the tower of St John's church. Between it and the end of the south aisle stood the town's fire engine house for part of the early nineteenth century. 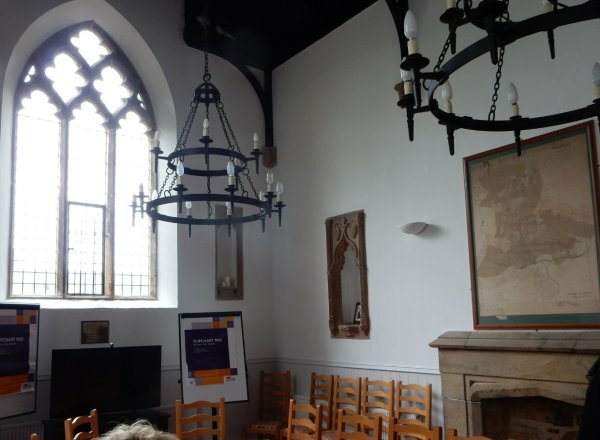 The chapel was converted into a school-house in 1573 and was used as a Charity Grammar School for boys as seen in the first image in the gallery below. 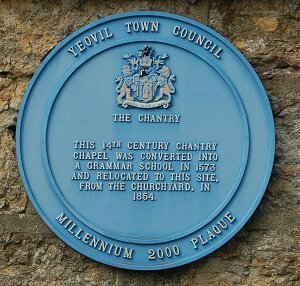 The origins of the Chantry being used as Yeovil's first school was outlined in 1820 in the House of Commons where a report by the Church Commissioners into the charities concerning St John's church was discussed - "There are traces of the existence of a school in Yeovil so far back as 1573; for The School, it is stated in a memorandum, purporting to have been taken from the antient accounts of the churchwardens, and made by a person who had served the office of churchwarden, that in that year a building in the church-yard, which had formerly been a chapel, and which was part of the church lands, had been converted into a school-house, at the expense of £12 13s 4d which had been borne by the parish. The accounts for 1573 are not forthcoming, but in those of 1577 is an entry, stating that 4d had been paid for a new key to the school-house." Into the nineteenth century it was stated "The boys are alike taught reading, writing, arithmetic, and the church catechism; they also attend the church on Sundays, and other prayer days; and a roll is called morning and evening, to ascertain the regularity of their attendance." 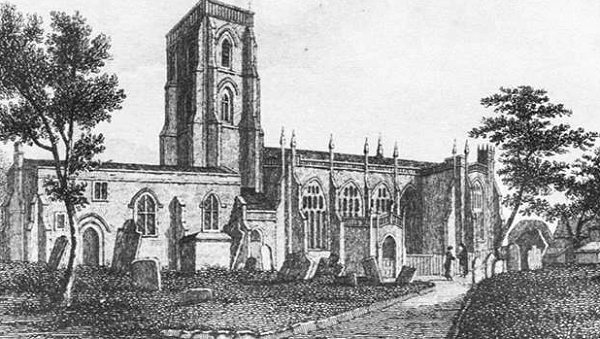 In 1854 a Vestry resolved "That the Churchwardens be authorized to pay a sum not exceeding £100 to the Feoffees of the School for the removal of the School house adjoining the Tower in consideration that the site be thrown into the Churchyard," Consequently the Chantry was demolished in order to increase the churchyard space for burials. and was rebuilt in 1855 in its present position opposite the west door of St John's and next to the original St John the Baptist Schoolrooms and used in conjunction with them. However the present building is more of a representation of the former chapel than a stone-by-stone rebuilding and much of what we see today, the doorway and all the windows for instance, date from the time of the reconstruction. During the removal of the Chantry by local builder John Rawlins, a fine carved head of a cross, probably a thirteenth century churchyard cross, was found built into the wall. This is now kept in the Roman Catholic Church of the Holy Ghost in Higher Kingston. 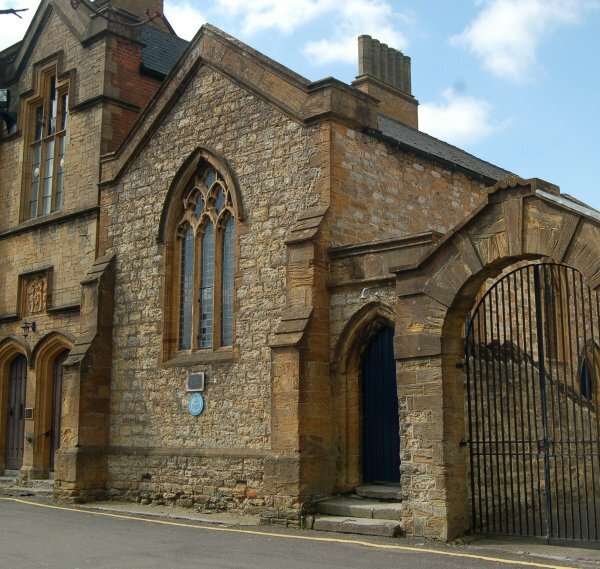 In 1888 the Chantry ceased to be used as a school, and was then rented by the small Roman Catholic congregation of Yeovil. 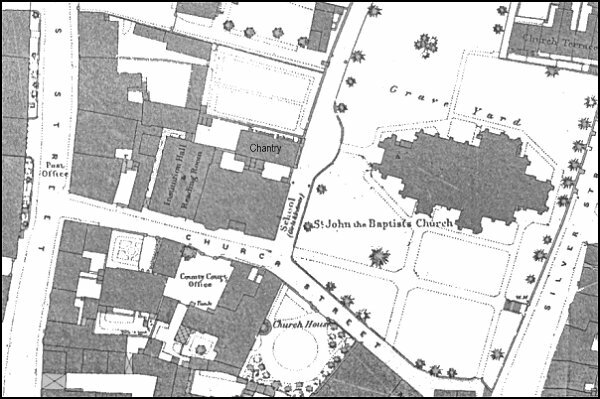 On 24 June 1888 the Bishop of Clifton celebrated Mass there on the feast of St John the Baptist. The Catholics moved to their new Church of the Holy Ghost in Higher Kingston when it opened in 1898. The Chantry then became part of the Technical Institute, since when the Chantry has been used for a number of secular uses and is currently used as a document store by a local firm of solicitors. 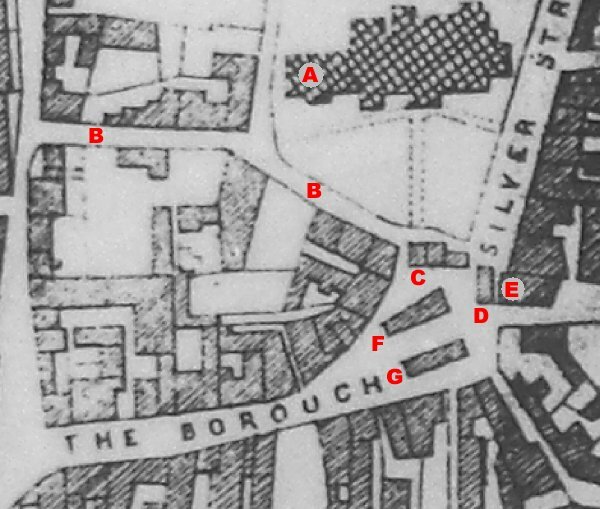 Map based on the 1886 Ordnance Survey showing the Chantry left of centre. A pen and ink sketch of St John's church with the Chantry attached and seen left of the tower, probably dating to the early 19th century. 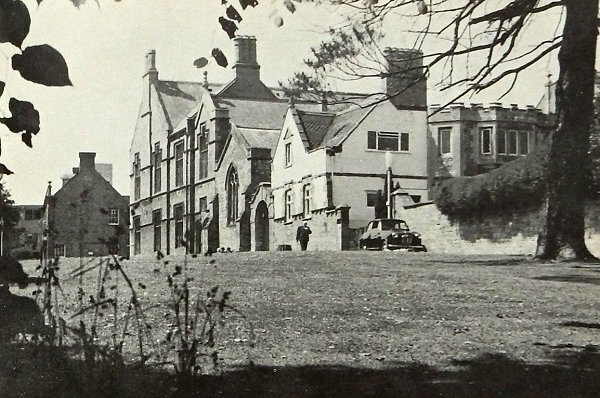 St John's Schoolrooms and the Chantry as featured in the 1967 Yeovil Guide. The Chantry, photographed in 2017. The interior of the Chantry. The wall niches and fireplaces are original. Photographed in 2017.